WE CHANGE FOR YOU! More products, more information, easier ordering and ALWAYS CURRENT OFFER !!! aby Państwa logo było dobrze wyeksponowane i trwałe. 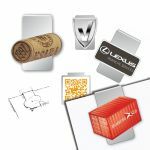 Unique business gifts printed with your logo are stylish gifts thanks to which you will gain in the eyes of others. Appreciate your loyal customer & engaged and committed employee by giving them timeless, practical promotional gifts - at the same time you will gain an attractive advertising medium! In this category we include gifts given to participants of conferences organized or sponsored by your company - zam & oacute; in us gadgets with your brand's logo and let yourself be seen by potential customers! T for a product that is still in good shape. Thanks to the development of technology and the rise of the amount of data collected, a good flash drive is often the key to success. More and more often are chosen those which are based on USB 3.0 technology. Thanks to this, we gain speeds of up to several dozen percent! Stylish company gifts, which you will find in our offer are extremely original articles - your advertising media, provided by reputable manufacturer & oacute ;in. You will find here iconic brands such as Balmain Paris, Valentini, Parker, Samsonite, Dunlop, Waterman, Pierre Cardin and many more! Thanks to the wide assortment of gadgets available on GiftyOnline.pl (advertising backpacks with print, wall clocks with logos, cups and advertising ceramics, usb pendrives and others), we are able to choose a solution that perfectly matches your specific needs. We will take into account the budget of your promotional campaign as well as the specificity of its target group - recipients & in our elegant gift & oacute; w.
guarantee a variety of marking options. It is a popular gift that is a great advertising medium. Multicolored designs and many choices of colors offer unlimited promotional opportunities for your company! Feel free to contact us - find out and win prestige thanks to the company gadgets we offer! Mnóstwo kształtów do wyboru. Wiele możliwości znakowania. Wszystko po to, aby Twoje dokumenty wzmacniały również wizerunek marki. Zwijane, składane drewniane. O długości 1 m, 3 m, 5 m. Wykonane z wielu różnorodnych materiałów. Idealne do trudnych wyzwań! Dzieki wykorzystaniu najnowszych technologii, w bardzo krótkim czasie możemy wyprodukować pendrive, którego kształt zależy tylko od Ciebie! Sprawdź nasze kaski. Bądź bezpieczny w pracy. Oferujemy kaski z możliwością nadruku Twojego logo! Fimy promocyjne produktów, tutoriale oraz instrukcje korzystania z naszego serwisu. Gotowy do pracy w każdej sytuacji! Oferujemy pamięci USB z logo firmy! Profesjonalne kurtki softshell sprawdzą się w każdych warunkach atmosferycznych! W naszej ofercie kurtki softshell z firmowym logotypem! Modne, wielokolorowe i przede wszystkim praktyczne torby konferencyjne! Doskonale nadają się na każdą konferencję. Posiadamy torby konferencyjne w wielu kolorachi na każdej możemy umieścić Twoje logo!! Summon summer! Get to know the gifts of our hot gadgets! 2019-04-15 We blame the summer and invite them to us now! We invite you to get to know the gadgets that you can give customers in the hot summer season. We must decorate them with your company's logo! 2019-02-01 Every year the question arises: "What's new in the offer?" ... So we took on the wallpaper one of the most popular gadgets - a cup! We checked what and where you can print on them. Although our Advertising Agency B & D Consulting - giftyonline.pl - comes from Chełm, we operate throughout the country - from Warsaw, Gdańsk and Włodawa through Lublin, Białystok, Biłgoraj and Zamość to Wrocław, Kraków, Katowice and Łódź. We offer gadgets and company gifts. We especially recommend promotional items such as conference folders and bags, t-shirts and printed mugs, wallets, leashes, umbrellas, pens and advertising rings, jackets, sweatshirts and fleece with logo as well as elegant business card holders and stationery sets, as well as digital frames and USB flash drives.